Road signs (Pylons and Monuments) are a good enhancement to your property, providing the opportunity to make a great first impression, from a distance. 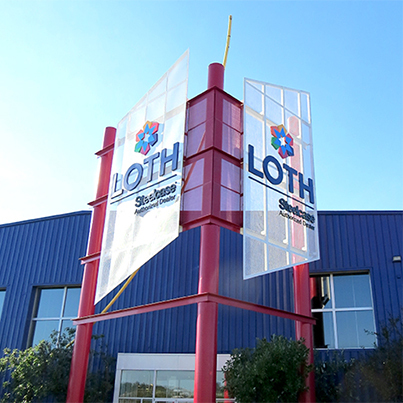 National Sign Systems road signs can be single or double sided and illuminated to maximize your brand from any direction day or night. 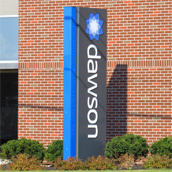 Engineered to withstand the weather, our signs are customized to your specs and to meet local code requirements. Use these to create the best appearance and leverage your brand. Turn-key project management — We do it all! Below are a few frame styles to consider, if you have something specific in mind please share it with us as all menu boards are made to order to your specs and ideas. Another consideration can be additional elements to bring your menu to life even more so. Wings and or toppers can add more depth and dimension to your menu board making it even more eye-catching. Below are a few frame styles to consider, if you have something specific in mind please share it with us as all menu boards are made to order to your specs and ideas. 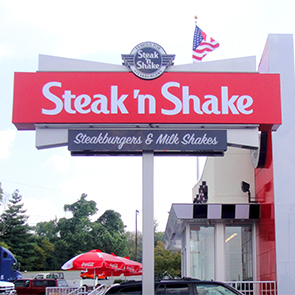 All digital exterior menu boards can be any number of panels from single to quadruple we can provide a solution that fits your needs and budget.